A speaker at the yearly conference of the Chaos Computer Club has shown how fingerprints can be faked using only a few photographs. To demonstrate, he copied the thumbprint of the German defense minister. 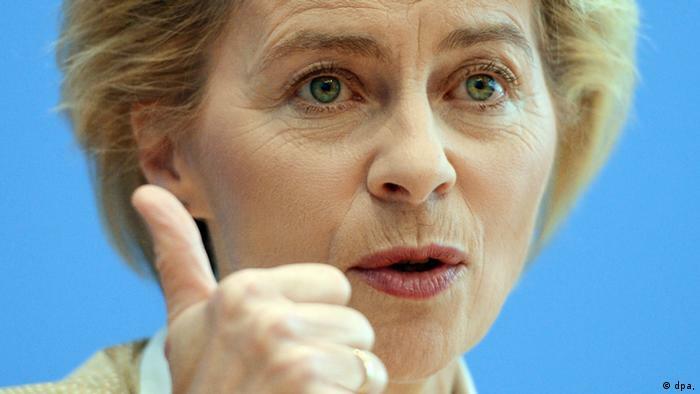 Jan Krissler, also know by his alias “Starbug,” told a conference of hackers he has copied the thumbprint of German Defense Minister Ursula von der Leyen. Speaking at the 31st annual conference of the Chaos Computer Club in Hamburg, Krissler highlighted the dangers in relying on security technology. Krissler explained that he didn’t even need an object that von der Leyen had touched to create the copy. Using several close-range photos in order to capture every angle, Krissler used a commercially available software called VeriFinger to create an image of the minister’s fingerprint. biometric security systems. Krissler pulled a similar stunt in 2008 with a fingerprint of then interior minister and current Finance Minister Wolfgang Schäuble. Krissler intends to show how systems which use these prints or iris scans to verify identity, which are becoming more prevalent and popular, can be outsmarted. He gave the example of facial recognition software that can be fooled by a person’s photograph, as well as showing how his fake fingerprint can trick the iPhone fingerprint sensor. her security hole from the conference: reading a user’s PIN code from reflections in their pupils while taking selfies. The Chaos Computer Club, or CCC, is the largest hacker organization in Europe.